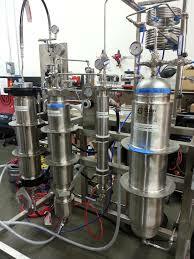 BHO Extraction Facility | 15000 Inc. 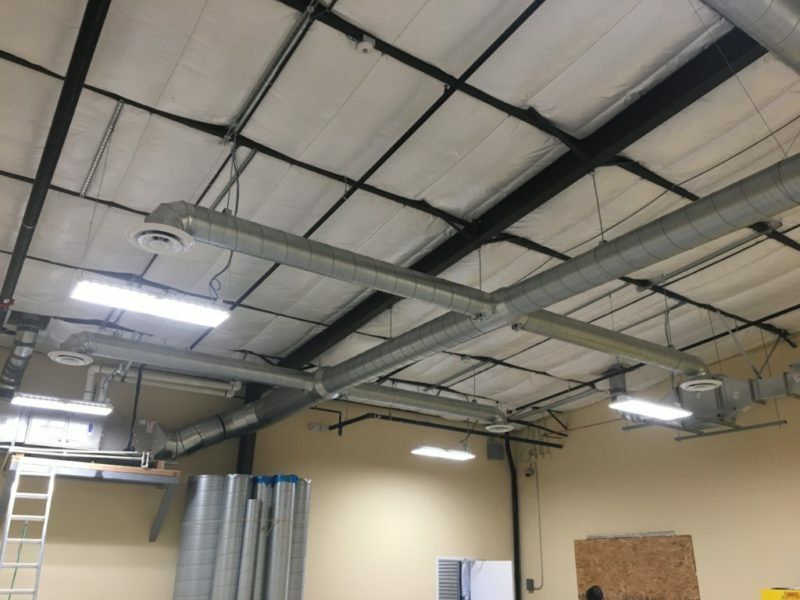 In what just a few years ago would have seemed an alternate reality, the City of Santa Rosa recently granted an occupancy permit to it’s newest cannabis BHO extraction facility – Piner Place Collective. 15000 Inc. is proud to have been part of this exciting project by providing the engineering design and construction support to the project. For those unfamiliar with the process “BHO” stands for Butane Hash Oil. BHO is a process that produces high-terpene, full spectrum extracts (HTFSE’s). This solvent-based process creates a form of concentrated marijuana that is used to produce shatter, hash oils and BHO wax. In essence, the process strips resin from the cannabis or hemp bud. What may come as a surprise to many is the fact that the process was created by… wait for it… the United States government! You know, the same folks who now say the process is illegal. And yes, the government did use it, though in a much more insidious way than it is currently enjoyed. Declassified World War II documents detailed that the U.S. Office of Strategic Services (OSS), incorporated a THC acetate “serum” into its controversial biochemical interrogation program. The man who led this program was George White who used hash oil-laced tobacco cigarettes, along with LSD preparations, to interrogate various prisoners and unsuspecting persons. 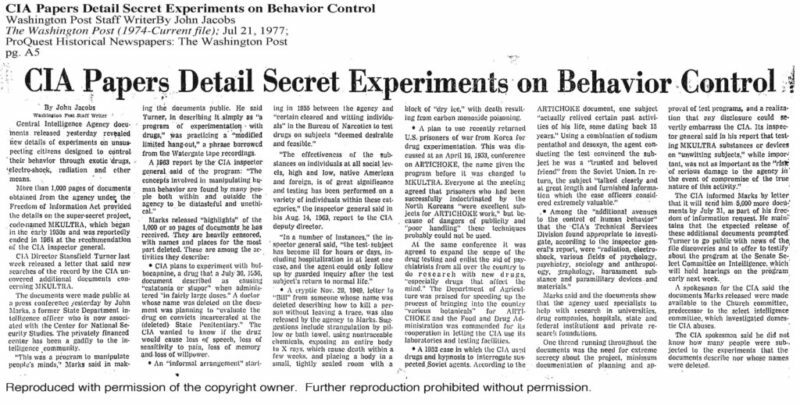 These controversial techniques would later be used by White throughout the 1950s and into the 1960s under the the highly publicized CIA program “MK Ultra”. Not surprisingly, there is now a strain named “MK Ultra”. Interestingly, Ted Kaczynski (AKA the Unabomber), was one of the guinea pigs of the MK Ultra program and claimed it formed the foundation for his brutal attacks on government employees. The Piner Place Collective uses the closed-loop BHO process to produce white label products for the industry. The closed-loop process is inherently safe, however employees can be at risk during the frequent cleaning process when containers are open and some butane escapes into the room. The California Building Code requires that BHO process’ occur in Class C1D1 designed rooms as defined by the National Fire Protection Association (NFPA) Publication 70 and the California Electric Code in section 500. In addition, many local jurisdictions have developed additional criteria that must be met in order to have your building permit approved. The Class C1D1 requirements include a 2 hour fire rated enclosure, explosion proof electrical system and components, an explosion proof ventilation and purge system, a hydrocarbon detection and alarm system, as well as a number of other requirements. As with any hazardous substance the key component to safety is in the education of the operators and the establishment of a rigid “best practice procedures” program. 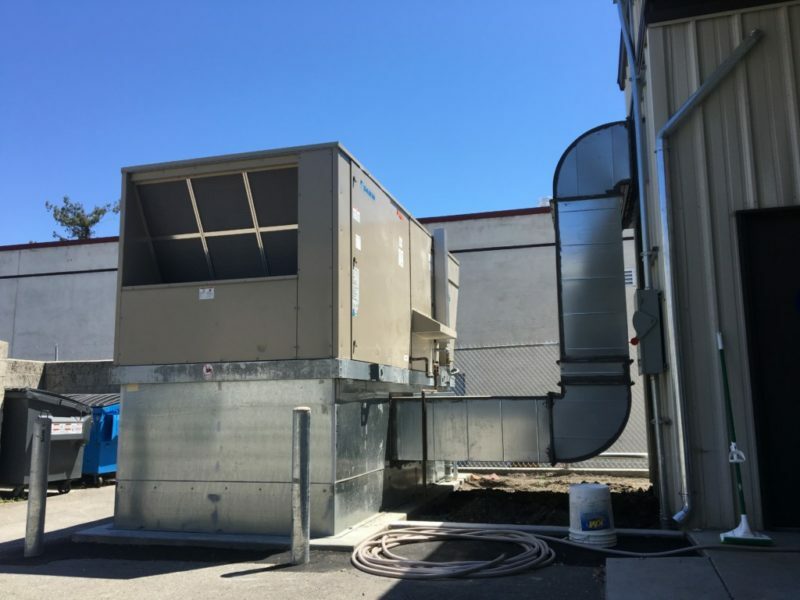 15000 Inc. selected a 30 ton Daikin Rebel unit to serve the extraction area at Piner Place Collective. The light weight roof structure precluded roof mounted equipment so the unit was grade-mounted on a raised platform. The platform was necessary because the unit is bottom discharge and the raised platform allowed the large ducts to be connected to the bottom of the unit. The advanced control system built into the Daikin Rebel units make them an ideal choice for these type of facilities. 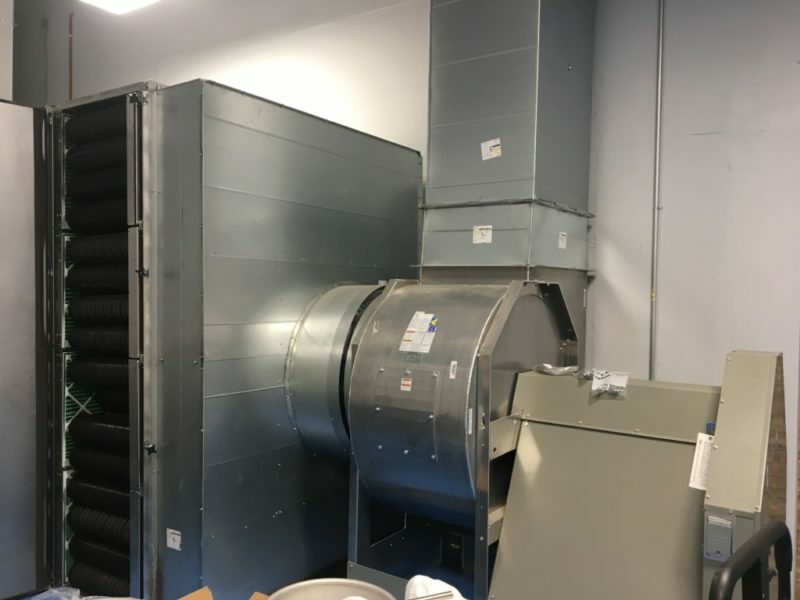 The huge filter bank and purge exhaust fan. A huge bank of MERV 8 pre-filters and activated-carbon Camfil-Farr final filters are employed to remove all odors from the exhaust and purge portions of the system. The design of extraction facilities is complex and unique. It takes an engineering firm with specific knowledge of the BHO extraction process, equipment and operational procedures to ensure a safe, effective, efficient and economical facility design. 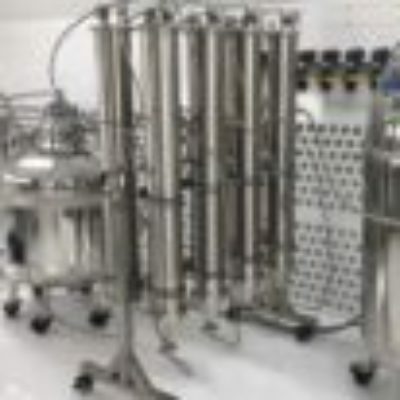 15000 Inc. are specialists in the design of cannabis extraction facilities. We are proud to have been part of Santa Rosa’s newest extraction facility. Thank you, Piner Place Collective, it was great working with you!